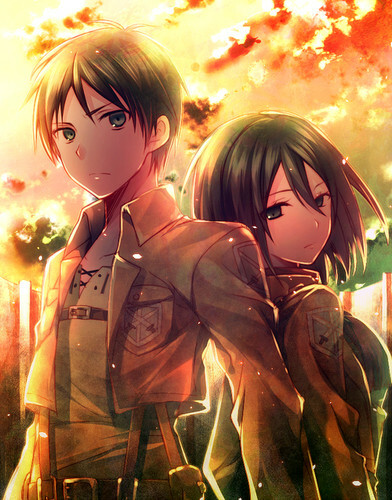 Eren x Mikasa. I ship them so much! Kawaii~. Wallpaper and background images in the Shingeki no Kyojin (Attack on titan) club tagged: photo eren jaeger mikasa ackerman aot snk titan.